Gregorios Papamichael ((Greek) Γρηγόριος Παπαμιχαήλ), 1875-1956, was a theologian of the Orthodox Church of Greece and a renowned professor at the Theology School of the University of Athens (1918-1920, and 1923-1939). He was responsible for resurrecting and placing in their proper places two almost forgotten great personalities of Orthodoxy: Gregorios Palamas and Maximos (Trivolis) the Greek. Furthermore, he examined diligently various cultural aspects of church life, and is jointly credited, together with his close friend Archbishop Chrysostomos I (Papadopoulos) of Athens (1923-1938), for establishing the two basic academic journals of Neohellenic theology: Theologia and Ekklesia. He also studied theology at the Theological School of Halki. Later he worked as a teacher in the Greek community of Sofia, Bulgaria. From 1905-1907 he taught as professor at the Theological School of the Cross in Jerusalem, publishing studies in the journal "New Zion". Over the next ten years, he took over management of the two periodicals of the Patriarchate of Alexandria, "Clerical Lighthouse"[note 3] and "Pantainos",[note 4] to which he added significant prestige, publishing valuable articles and studies. He concurrently served as the Dean of the School of Theology,[note 6] as well as the Rector of the University of Athens from 1936-1937, and organized the celebrations for the University's centenary (i.e. 1837-1937). In 1945 he was elected a member of the Academy of Athens, later serving as the president of the Academy in 1954. Parallel to his didactic and literary labours, Gregorios Papamichael undertook ecclesiastical and social activities, taking charge of the periodicals Ecclesiastical Herald[note 7] and New Didache,[note 8], and later the periodicals Theologia[note 9] and Ekklesia,[note 10] publishing many articles and studies. 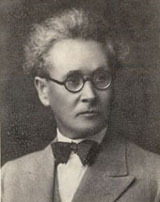 Professor Gregorios Papamichael passed away in 1956. His literary production was vast and rich, covering many theological disciplines. He published seventy (70) major theological works in the fields of apologetics, ethics, hagiography, Patrology, and history, as well as over a thousand smaller publications, ecclesiatical articles and book reviews. As a theologian and academic instructor Gregorios Papamichael combined scientific profundity with literary grace. His ecclesiastical columns in the theological journals, especially in the journal "Theologia", testify to his great love and devotion to the work and the mission of the Orthodox Church. ↑ The "Holy Cross School of Jerusalem" (Theological School of the Patriarchal Throne of Jerusalem) was founded in 1855 under Patriarch Cyril II of Jerusalem (1845-1872), and was located at the Monastery of the Holy Cross. It functioned for about fifty years with some interruptions (1855-1909). ↑ "Another pioneer work of earlier date is Gregorios Papamichael, Ο Άγιος Γρηγόριος ο Παλαμάς (St Petersburg/Alexandria, 1911), a serious study which had, however, little impact on Orthodox theology at the time. It was of course Vladimir Lossky, in his Essai sur la théologie mystique de l'Eglise d'Orient (Paris, 1944; English translation, London, 1957), who first brought Palamism to the attention of a wider public, non-Orthodox as well as Orthodox." Dumitru Staniloae. Orthodox Dogmatic Theology: The Experience of God. Continuum, 2000. p. xxv. ↑ Saint Nectarios of Pentapolis had also previously served as Dean of the Rizarios Ecclesiastical School, from 1894 to 1908. ↑ 1.0 1.1 Panagiotes K. Christou. Neohellenic Theology at the Crossroads. The Greek Orthodox Theological Review. 28, n. 1, Spring 1983, p. 39-54. ↑ (Greek) Δημήτριος Μπαλάνος (Εθνικόν και Καποδιστριακόν Πανεπιστήμιον Αθηνών). Εκατονταετηρίς 1837-1937, Τόμος Α', Ιστορία της Θεολογικής Σχολής. Αθήναι: Πυρσός Α.Ε., 1937. σελ. 15. ↑ (Greek) Τακτικά μέλη της Ακαδημίας Αθηνών κατά σειρά εκλογής. Ακαδημία Αθηνών. (Academy of Athens). Retrieved: 2013-08-27. ↑ (Greek) Πρόεδροι της Ακαδημίας Αθηνών από την ίδρυσή της. Ακαδημία Αθηνών. (Academy of Athens). Retrieved: 2013-08-27. (Greek) ΓΡΗΓΟΡΙΟΣ ΠΑΠΑΜΙΧΑΗΛ (1874-1956). Εκκλησία της Ελλάδος (Περιοδικό ΘΕΟΛΟΓΙΑ). Retrieved: 2013-08-27. (Greek) Δημήτριος Μπαλάνος (Εθνικόν και Καποδιστριακόν Πανεπιστήμιον Αθηνών). Εκατονταετηρίς 1837-1937, Τόμος Α', Ιστορία της Θεολογικής Σχολής. Αθήναι: Πυρσός Α.Ε., 1937. σελ. 15. (Greek) Πρόεδροι της Ακαδημίας Αθηνών από την ίδρυσή της. Ακαδημία Αθηνών. (Academy of Athens). Retrieved: 2013-08-27. (Greek) Τακτικά μέλη της Ακαδημίας Αθηνών κατά σειρά εκλογής. Ακαδημία Αθηνών. (Academy of Athens). Retrieved: 2013-08-27. (Greek) Γρηγόριος Παπαμιχαήλ. Βικιπαίδεια. (Greek Wikipedia). Panagiotes K. Christou. Neohellenic Theology at the Crossroads. The Greek Orthodox Theological Review. 28, n. 1, Spring 1983, p. 39-54. This page was last edited on August 30, 2013, at 16:50.